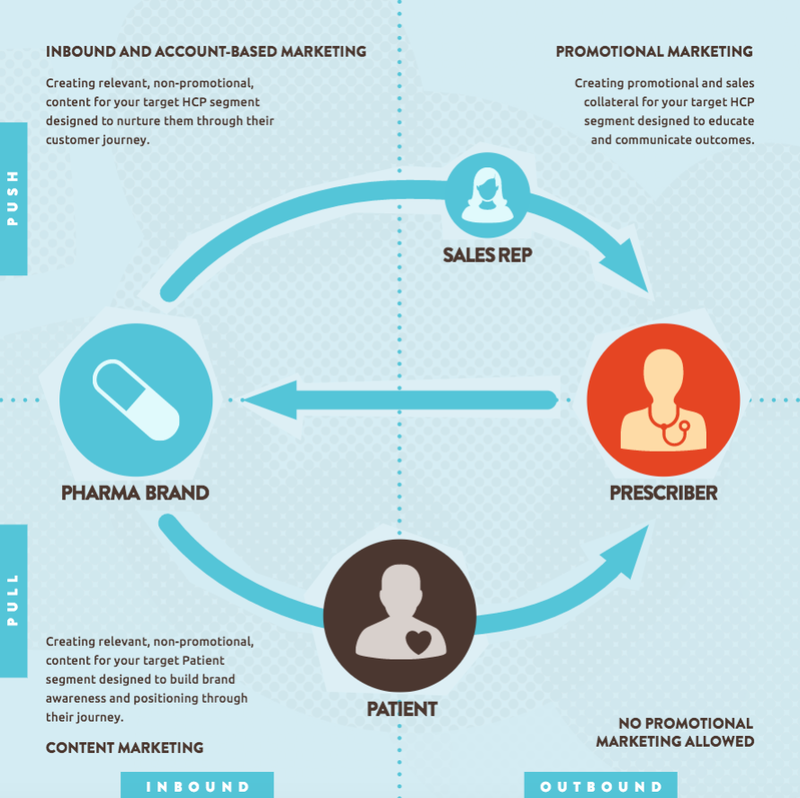 Is your pharma brand using the marketing terms ‘pull & push’ correctly? The steady progression of digital transformation across all industry sectors over the past two decades has introduced a steady stream of buzzwords. You may be familiar with some of them; viral marketing, gamification, news-jacking, user generated content, native advertising, storytelling and growth hacking, to name just a few. Often these terms are coined in an attempt to describe a new approach or a different mindset. Sometimes they provide us with a useful shorthand to help open people's minds to consider a new way of thinking. However, if a team of people all have a slightly different definition, then these buzzwords become unhelpful and in some cases damn right damaging as teams start to talk at cross purposes. We’re currently seeing this happening with the terms ‘pull and push’ and ‘inbound and outbound’. The issues come when pharma’s commercial teams, across different departments and locations, use these terms interchangeably, as they are actually very different concepts. The term ‘inbound marketing’ was coined by Hubspot’s co-founder Brian Halligan in 2005. It brought the concept of ‘marketing through the creation of relevant, educational content’ bang-up-to-date for the digital age. So, instead of interruptive ‘outbound’ promotions via broadcast media, the use of blogs, search and social are all used to build trust and keep the brand front-of-mind until such a time as the customer is ready to buy. It’s also worth noting that the origins of inbound marketing come from B2B although the broader concept is just as relevant to B2C, that’s where the overlap with content marketing comes in. The terms ‘pull and push’ come from the consumer goods sector, and represent the strategic choices manufacturers have when marketing their products. A push strategy is about working with distribution channels, such as the retailers, to stock and promote products. While a pull strategy is about about using promotional tactics such as advertising and media relations to create demand which results in consumers seeking out the products instore and online. For some reason the terms ‘pull and push’ have recently been adopted as synonyms for ‘inbound and outbound’, where pull is being used to describe an inbound approach and outbound, a push approach. Does it feel right? Sure, but it’s not right and has the potential to causes problems. We believe this mismatch of terms has the potential to be particularly problematic for pharma businesses because their digital transformation initiatives are currently highlighting the importance of patient-centricity and so, instead of ‘pull and push’ simply being other terms for ‘inbound and outbound’, they currently represent critical strategic choices. Therefore, people within pharma commercial teams all need to be on-the-same-page if they’re to be successful in making the right choices.